Hey – As a Houdini newbie, I’m still struggling a lot with groups and attributes. Today I wanted to do a circle of objects with the copy sop and give it a gradient color by polygon island. Good. Easy – I thought. 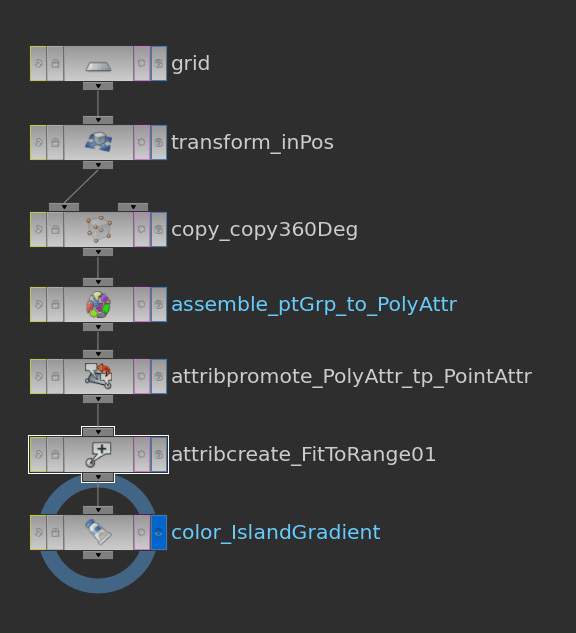 BUT, the copy SOP creates just groups of objects. Now my question was, how to convert a bundle of object in an fresh point attribute from 0-1. My Approach was to convert the groups with the assemble SOP to a primitive attribute. After this I used an attribute promote to convert the primitive attribute to a point attribute. In the final step I created a fresh attribute and did a fit function to have a nice range from zero to one. 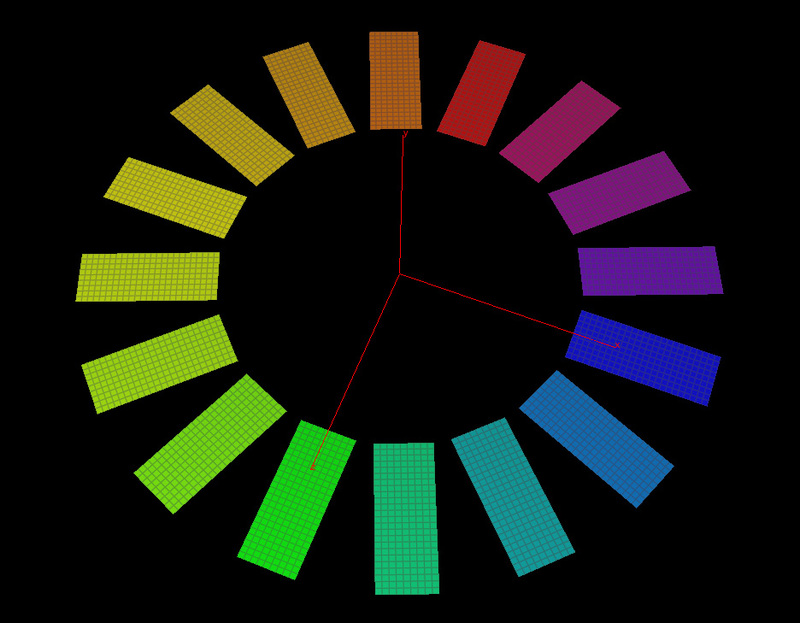 fit(@island_index,0,ch(“../copy_copy360Deg/ncy”),0,1). Accordingly I was able the use this attribute in the color sop. the result, was the picture below. To me it feels like a to involved process – I’m sure that th e same process is also doable in one node e.g. in an attribute wrangle. A common workflow for us is to assign materials in softimage with the help of groups. All objects in a group share the same material, which makes material assigning and overriding easy. During the last days I had to select tons of meshes, to group them and to assign a new material to it. Lazy as I am, I have written a script that renames the group material with the groups name. This saves a lot of keyboard write work. Btw, this script works also with partitions – Some people prefer sorting Materials on the top level of SI’s hierarchy.